In 2013, The Replacements played their first string of shows in 22 years—which means it was the first time the legendary band had played one of its signature songs, “Alex Chilton,” since the subject of that song died in 2010 of a heart attack at the age of 59. It was a poignant moment, and it even briefly overshadowed The Replacements’ momentous comeback. 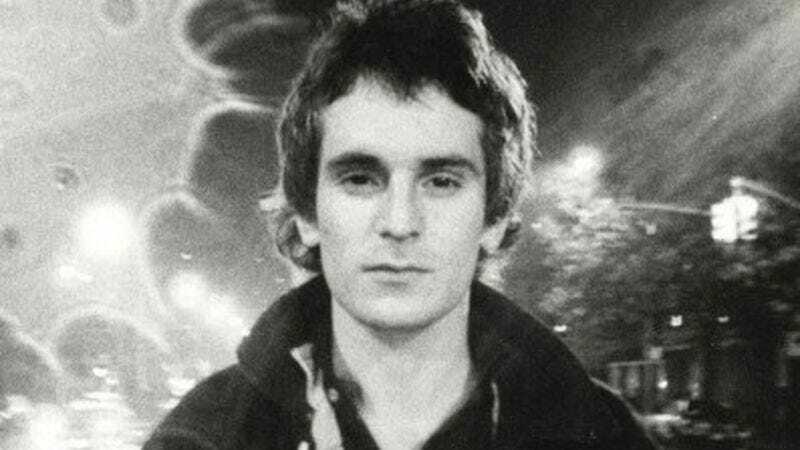 Chilton has not only served as an inspiration to everyone from The Replacements and R.E.M. to The Hold Steady and The Gaslight Anthem, his songs have embodied a kind of broken beauty that’s resonated with so many. But Chilton never became famous during his life. His closest brush with superstardom came in the ’60s, when, as a Memphis teenager, he fronted the chart-topping soul-pop band The Box Tops; he subsequently aimed for pop immortality with his work in the ’70s power-pop outfit Big Star. By the time of his death, however, he still held the status of a cult musician with a self-destructive streak that seemed to always bleed over into his career. His tumultuous life has been revisited recently in Drew DeNicola and Olivia Mori’s 2012 documentary Big Star: Nothing Can Hurt Me as well as Holly George-Warren’s 2014 biography A Man Called Destruction: The Life And Music Of Alex Chilton. Both have done a great service in unveiling the forces that forged Chilton’s life and career, although his music itself is still the most harrowing document. The Box Tops were Chilton’s most commercially successful band, but Big Star remains his most beloved. After The Box Tops fell apart in 1970 despite hit singles like the gutsy, punchy “The Letter,” Chilton—a wizened, music industry veteran at 19—began shifting toward a sound more attuned to his taste in The Beatles, The Kinks, and The Byrds. Eventually, that led to the formation of Big Star with fellow singer-songwriter Chris Bell, and the band’s 1972 debut, #1 Record. Released on Ardent Records, a rock ’n’ roll subsidiary of the soul giant Stax, the record was serious about its grandiose title. Chiming yet propulsive, delicate yet muscular, #1 Record completely flopped—partly due to record-label mismanagement, but also because Chilton and Bell’s starry-eyed mix of jangly pop and hard rock, which would come to be known as power-pop, had yet to establish a strong precedent. Cheap Trick would later ride that formula to fortune, which made it ironic that Big Star’s most lucrative song wound up being #1 Record’s anthemic “In The Street,” which Cheap Trick covered as the theme for That ’70s Show. After the failure of Big Star’s #1 Record to live up to either the band’s name or the record’s title, difficulty began to sink in. Chilton, who had dealt with mental illness since a child and had attempted suicide in his teens, retreated. The resulting Big Star album, 1974’s Radio City, reflects those fractures. Bell left the band before it was recorded, and there’s a shaggy, shambolic quality to Radio City that borders on disintegration, although it only adds another dimension to the album’s pristine, heart-trawling songcraft. Both #1 Record and Radio City are being reissued by Stax this month; together they form the core of Chilton’s musical legacy. Chilton’s voice, which had started out so gruff and rumbly in The Box Tops, had completed its evolution to another extreme: trembling, vulnerable, and as pure as struck crystal. Big Star’s final studio album, Third/Sister Lovers, is just as rewarding as #1 Record and Radio City—it’s just more of a challenge to unlock. A pop manifesto written in code, Third (later called Sister Lovers) was recorded in 1974 but not released until years later by various labels. The songs either shuffle off a cliff or implode in quiet spasms of futility; the atmosphere is asphyxiating. But it’s a gorgeous record that recalls the aching majesty of a fellow singer-songwriter that Chilton befriended during his Box Tops days, Brian Wilson of The Beach Boys. Big Star wouldn’t record another full-length until the lackluster, 2005 reunion album In Space. Tragically, Bell’s participation was an impossibility; he died in car crash in 1978. (His masterful solo album I Am The Cosmos, every bit as good as anything Chilton every recorded, remained unreleased until 1992.) The letdown of In Space isn’t enough to dent the genius that is Big Star’s original, three-album run. Chilton’s time in The Box Tops is usually dismissed with a mention of “The Letter,” the million-selling hit from 1967 that catapulted the 16-year-old singer to the national stage. George-Warren’s A Man Called Destruction does a good job at rectifying that oversight—and it needed to be done. Along with the group’s two other big hits, “Cry Like A Baby” and “Soul Deep,” The Box Tops championed blue-eyed soul and gave Chilton the chops and presence that he’d go on to either confidently harness or perversely turn against themselves. The Box Tops don’t deserve to be ranked in the upper tier of bands of the late ’60s, but their Memphis-style, pop/R&B crossover made for some thrilling tunes that have an edge on most of their bubblegum contemporaries. There wasn’t much for Chilton to coast on after the breakup of Big Star. The Box Tops were a footnote, and Big Star had barely gotten off the ground. From there he embarked an erratic career as a musical itinerant; he moved around, worked odd jobs, and played music when, where, and if he felt like it. An interest in the nascent noise of punk rock led to his stint as a sideman in the raucous outfit Tav Falco’s Panther Burns, not to mention producing the first two singles by the garage-punk icons The Cramps. His first proper solo album, Like Flies On Sherbert, was released in 1979, and seemed as if the increasingly contrarian Chilton had little interest in either satisfying his few old fans or courting new ones. Accordingly, it’s an uncompromisingly strange album, veering from spirited oldies covers to disjointed, otherworldly gems. It’s a formula he’d follow, to diminishing returns, throughout the rest of his fits-and-starts solo career. One of the most curious, and characteristically obscure, artifacts in Chilton’s body of work is Free Again: The “1970” Sessions. Previously released as simply 1970, the album was recorded that year, soon after the dissolution of The Box Tops but before Chilton had founded Big Star. It’s a telling transition; The Box Tops had been a hit-making machine with very little room for artistic expression, and the unchained Chilton responded with songs that embraced, both sonically and lyrically, his newfound freedom. It’s as close to a long-lost classic that his discography comes, a shaky and inconsistent set of songs born out of a conflux of torment and euphoria—as was so much of his music, and his life. 1. Big Star, #1 Record: Big Star’s debut album is Chilton’s introduction to the world as a grownup songwriter; his alchemy with Bell is not only harmonious, it makes for a masterpiece of old-soul pop. 2. Big Star, Radio City: The sound of a band unraveling, Radio City is a weary, bleary distillation of what Big Star was—and could have been. 3. Big Star, Third/Sister Lovers: Few albums in the rock canon are as avant-grade without being avant-garde; there’s weirdness here, but it’s organic and wholly from the heart. 4. The Box Tops, The Best Of The Box Tops: Soul Deep: Chilton didn’t write The Box Tops’ material, but he delivered it with a rootsy rasp that sounded—and lasted—well beyond his years. 5. Alex Chilton, Free Again: The “1970” Sessions: Groping for his own creative identity, Chilton dabbled with a bit of everything, from blues to funk to folk—all wrapped up in a garage-rock rawness that he never fully let go of.